The Mitsubishi Group makes wonderful vehicles that are both beautiful and technically advanced. It offers a wide range of models and each one comes with tempting features. When buying a car, one needs to look into various factors like the durability of the vehicle and availability of the OEM replacement parts. 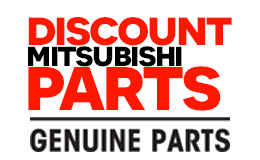 Mitsubishi scores high on both counts as its vehicles are long lasting, and OEM Mitsubishi replacement parts are easily available at DiscountMitsubishiParts.com. These cars seldom require repair, and if there is a need to replace a part then you can get it from us without any hassle and at discount prices. Everything ages and Mitsubishi cars are no exceptions to this rule, but you have an opportunity to resurrect your old Mitsubishi car with Mitsubishi OEM Parts. We not only offer an extensive range of products but also make them available at discount prices. Moreover, with an easy ordering and payment process, we ensure that all requirements of our clients are met in a trouble-free manner. On our well-designed website, we make sure that all shoppers are able to find and order the required Mitsubishi parts conveniently. With our fast shipping process, we ensure that all genuine parts are made accessible to our customers without any delay.